You have got some great music on your blog!...I was listening to a New Musik compilation (their Living By Numbers was one of the first singles I bought as a kid!) and listening to '24 Hours From Culture' reminded me that a Belgian New Beat band did a cover...so searching for it I discovered yours is the only blog that has posted it! 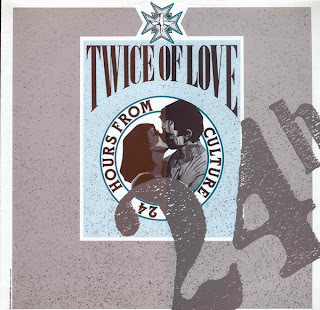 The 1989 Twice Of Love cover version was played a lot when I used to go out clubbing in the late eighties, it was really big at the Hacienda if memory serves...the flipside of it 'The Birth' was pretty wonderful too, that would make a great post if you run out of records!!! Isn't it weird that it doesn't seem to matter what diverse and different tracks I am searching for, the blogs that always seem to have it are often the ones I visit on a regular basis...its great when I discover other people who share my diverse, obscure and weird taste! ps> aside from Living By Numbers another great couple of New Musik tracks are 'This World Of Water' and 'The Planet Doesn't Mind' (X-Visitors did a great cover of the track in 1983 which I have) - if you haven't got any of the tracks I have mentioned I would be happy to send them to you, just leave a message here.